In case you haven't heard, Kirie and Julianna started a super fun quilt along. 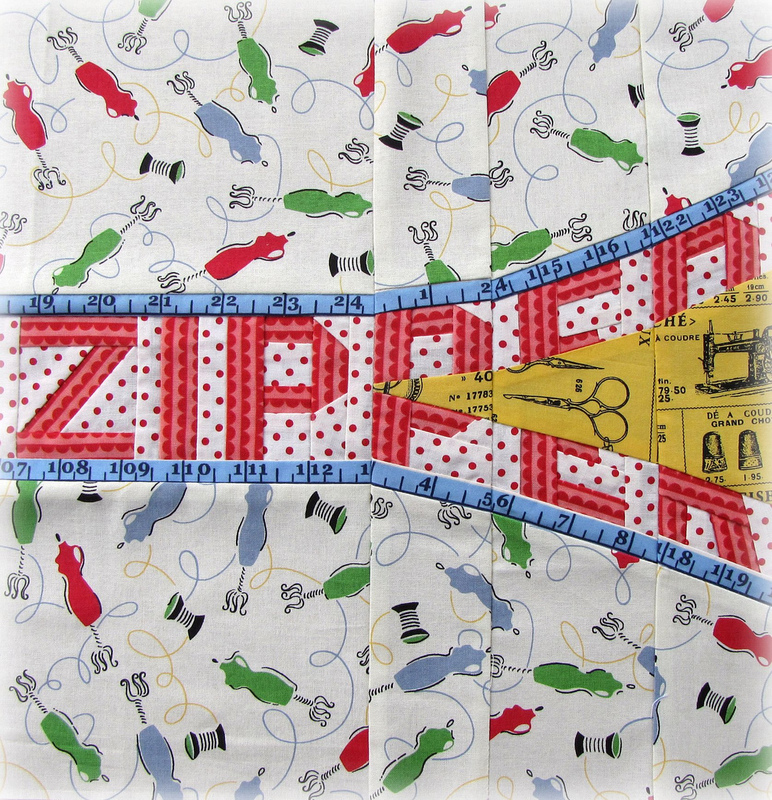 Eleven designers, including me, are designing Quilt Blocks with Sewing Themes. The ideas is to use sewing and text fabrics to create eleven blocks. 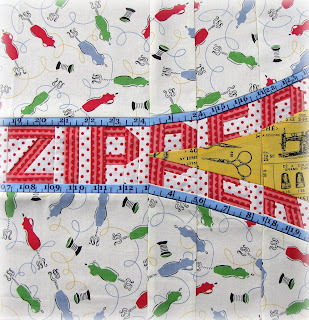 Julianna designed the first block - "Zipper". This is my version and you can find the pattern here. generously sent each designer fabric to use for their block. There are some fabulous prizes and we have a contest at the end. We are inviting you to design the 12th block! The details to enter the contest are here on the Flickr group. Our judge is the amazing and talented Suzuko Koseki. 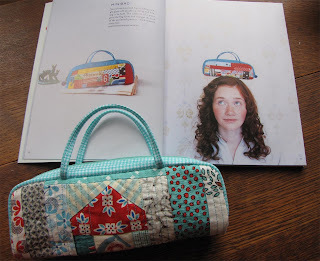 She is a fabric designer and author of some of my favorite sewing and quilting books! I'm not sure how I missed that Suzuko Koseki is judging. My heart races just thinking of it! I have 2 of her books and I'm a huge nerdy fan of her. WOW! Perfectly pieced. Fantastic color combo. Your block is wonderful! This is super cute. I'm starting my block today.